Everyone wants a companion, someone to love and be loved by, someone to trust and lean on, but those can be difficult to find. So, what’s the perfect solution? A pet! Yep. Furry, fuzzy, feathery, or leathery, pets have been proven themselves to have many benefits. Yeah, they add some financial burden, but they payoff is well worth it. So, what exactly can pets do for you? Pets raise your happiness level. It’s truth. Studies have shown that pets make their owners happier. Not only are they excited to see you, but they can comfort you too. People have an easier time getting rejected if they have a pet to comfort them, and that goes for other forms of sadness too. They keep you from being lonely and always give you a reason to smile. 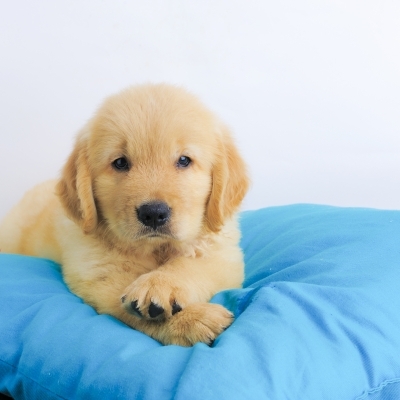 A little puppy curling up on your bed can make anyone feel better. Keep your pet extra comfy without the hassle of pet hair with an Animal Planet pet blanket! Pets increase your confidence. Pets can help introverts learn how to communicate with people. People with pets tend to form deep connections with friends. Trusting a pet to love you helps you open yourself up to people. Pets help you form a sense of community. Aside from how they help you bond with other people, you also form a bond with your pet. Pets have health benefits. Pets lowers your stress level. Now for all those college students out there, this is a huge help. Stress can reach uncharted levels for college students, but the company and love of a pet can help you lower your stress, which in turn lowers your risk of high blood pressure and heart disease. In fact, some doctors are wondering if pets should be prescribed to their patients. Dogs, among other animals, also help your physical health. Walking your dog gets you up and off your feet. Pets give you a purpose. People with pets actually struggle less with some deeper questions about life, like “why am I here?” and “what’s my purpose?”. Pets give people a sense of purpose, of belonging. It seems that having someone to rely on you helps you find a purpose. Pets are great for children. Now, you do have to be careful. Make sure the animal you want is not aggressive towards children. If you choose a pet tolerant of children, pets can provide them several life lessons. Pets teach kids how to be nurturing and give children a sense of responsibility. Of course, they’re friends too. There have also been many instance in which the company of a pet has acted as a stabilizing force in the lives of autistic children. In short, pets are amazing. Yeah, they bark, shed, pee on the floor, and sometimes drive you crazy, but look at what they can do for you! Pets help your physical, social, mental, and emotional health! Remember to do your research when you are thinking about getting a pet. No two animals are alike. Every animal has a unique personality, and different breeds and animals will have different traits. They vary in expenses and needs. Horses, for instance, cost a lot more than a cat or dog. They also require more time. You have to love your pet and have the time to take care of it. Of course, they’re well worth it.